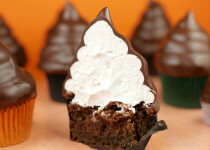 MiniChefs is proud to announce the launch of three brand new party packages! 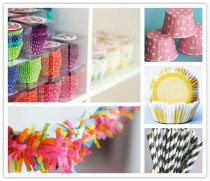 Now there is even more choice for your next birthday party! Let us do the work for you! We will provide 24 vanilla or chocolate cupcakes, coloured icing in piping bags and different kinds of sprinkles for you to decorate at home for your child's party. We even supply chef’s aprons for the children to decorate! Everything comes pre-packaged in a box, ready to party. Additional services: We can even add in lolly boxes/party packs for the children to take home, and platters of food for them to eat! This party is always a hit! 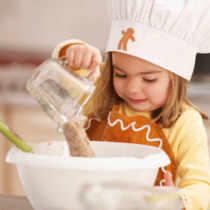 We bring all ingredients & supplies to your home for a 2.5-hour culinary adventure for ages 5+. 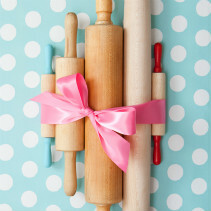 Includes the cooking theme of your choice, an apron for each child, chefs hat for the birthday child and party favors. You are the host and we're the entertainment. And don't worry, we'll clean up any mess. Our 100% party package is a mom's delight! 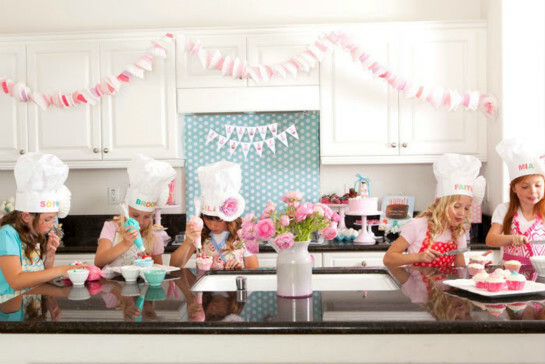 The children will cook two items from one of our party menus, colour in their very own apron and chef hats, and participate in a fantastic game of musical statues. We are also happy to add in a beautiful birthday cake, some platters for them to nibble and lolly boxes for them to carry home.